Morton's Grille cordially invite you to enjoy a special E.GUIGAL wine dinner under the magneficent view of Morton's terrace. Pair the artisan wines with the classic Four-Course menu of Morton's. 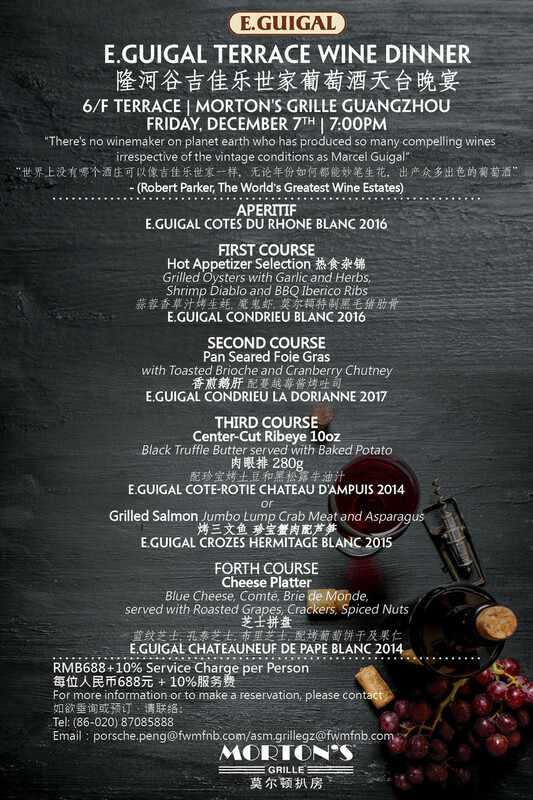 Nicolas Huillery, Brand Manager of E.GUIGAL will join and share the life in the region.